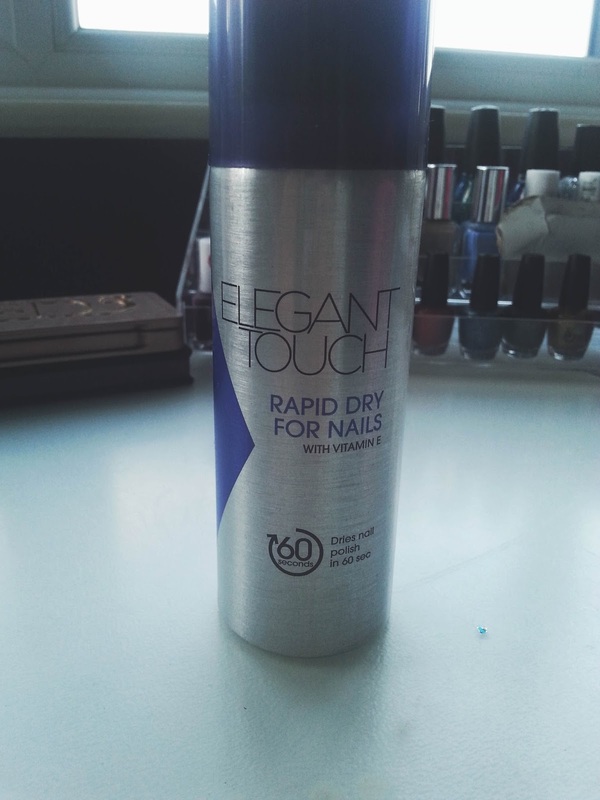 A few weeks back I went to Superdrug and found this Elegant Touch Rapid Dry Nail Spray and after reading the front of the bottle I just had to buy it. It claims to dry your nails in 60 seconds and conditions your nails with Vitamin E, this is perfect for any girl like me who loves to paint her nails but cannot sit still to wait for them to dry without doing anything. 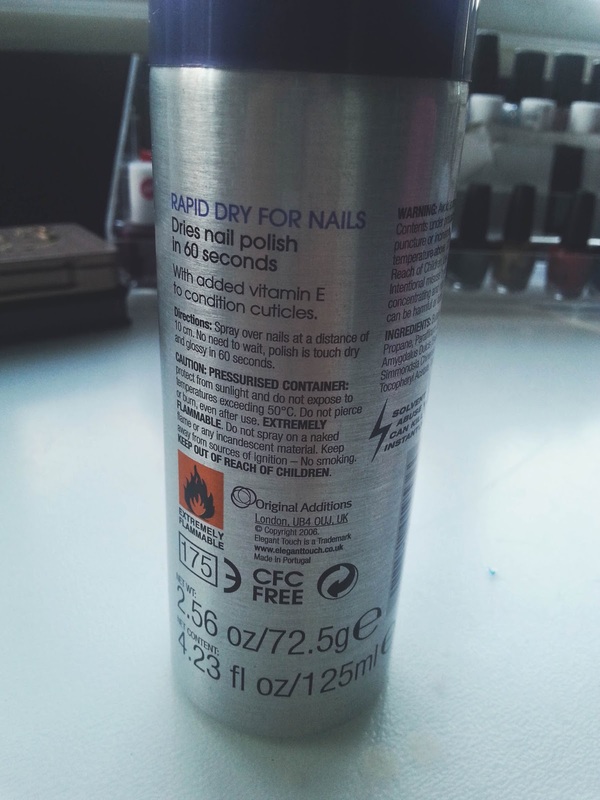 I was amazed at the fact that this is a spray that dries your nails, unlike a top coat that also claims to dry your nails really quickly. I love it because it doesn't smell at all and you don't need to wash it off afterwards, all you do is spray it onto your nails from a 10cm distance and then I recommend to let it sit for a while until it dries for about 60-90 seconds. 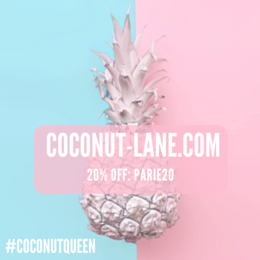 The only thing is the that it leaves a oily residue on your nails, but not worry just rub it in to your cuticles and then you are conditioning your nails at the same time! I honestly can't find the words to describe how amazing this product is, if you happen to pop into boots or superdrug then pick a bottle of this stuff up for around £3 because it is life changing!